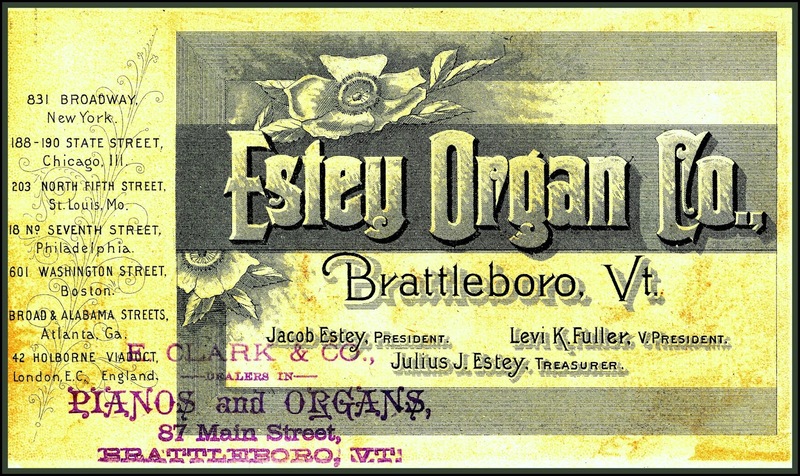 #33 marks the Main Street location of L. Roberts' jewelry on this 1899 panorama of Bristol CT. 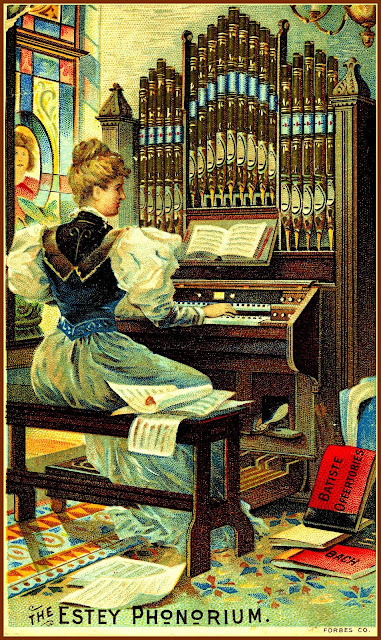 The "Estey March" performed on a very special Estey organ. Extolling the merits of Estey, no doubt! 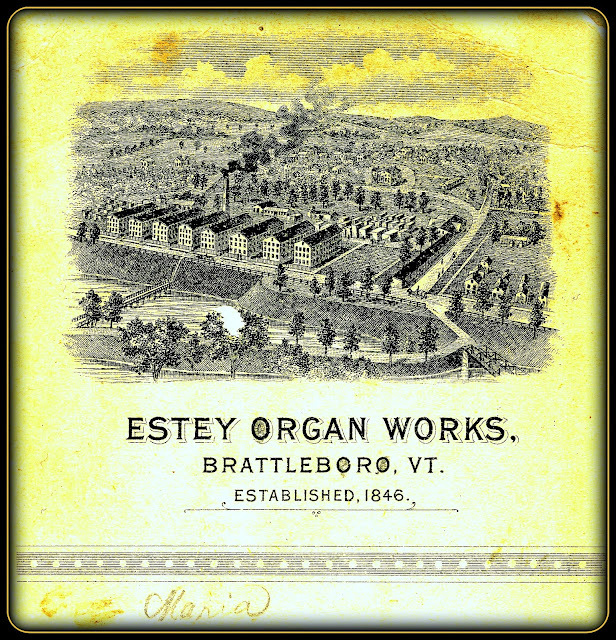 From a parlor overlooking the Estey factory, an Estey organ recital commences. The reverse of the card above lists corporate officers and one local distributor. 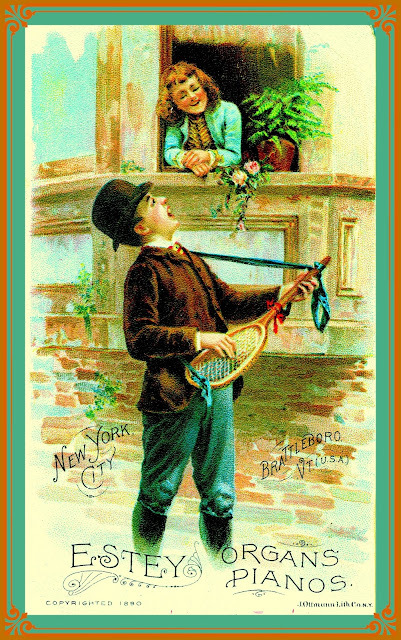 On the back of the card above is a contemporary likeness of the factory. Thanks, Maria! Google Street View passed by the Estey factory in May, 2102 [ http://bit.ly/EsteyOrganFactoryMay2012 ] The factory complex has been restored with new tenants, evidently including one of those famous "slow schools." 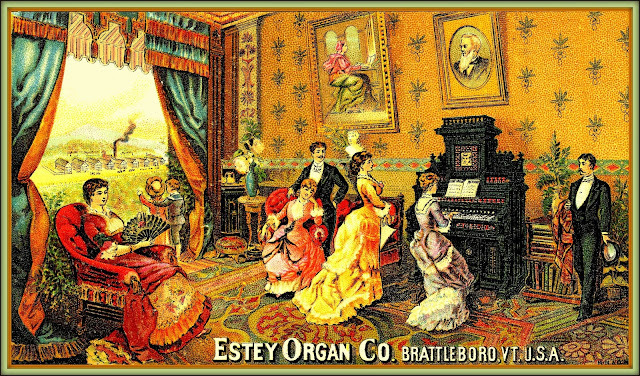 Let's go on a tour of the Estey Organ Museum in Brattleboro!